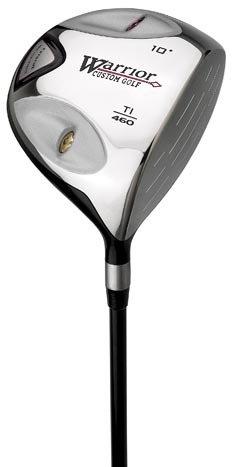 Warrior Custom Golf announces today that they will be assisting the Orange County United Way’s 2009 fundraising campaign. The proceeds from this event will help children and youth achieve their potential, promoting financial stability and independence, and improving people’s health. Each year the county raises funds for United Way through donations from philanthropic businesses such as Warrior Custom Golf. Warrior Custom Golf announces today that they will be assisting the Orange County United Way’s 2009 fundraising campaign by participating in their 11th Annual Golf Tournament to be held at Green River Golf Course on October 12, 2009. Each year the county raises funds for United Way through donations from various businesses as well as employee contributions. This event will be one of the highlights of the United Way’s 2009 fundraising campaign. "We are excited to have Warrior Custom Golf at our event this year. Their support in making this fundraiser a success for the families of Orange County is greatly appreciated," said Lisa Poma, United Way Coordinator. "Warrior Custom Golf can take pride in making this important and worthy contribution, and their generosity will benefit the enrichment of our community’s children." There will be over 150 golfers from throughout Orange, Los Angeles, Riverside, and San Bernardino Counties in attendance including Government Officials and all levels of staff from the Sheriff’s Department, District Attorney’s Office, Audit Controller, Public Works, Social Services, and Health Care departments. Proceeds from the event will to towards local focus areas including helping children and youth achieve their potential, promoting financial stability and independence, and improving people’s health. Community by community, United Way and their partners target childhood obesity, health insurance coverage, healthcare quality, childhood immunizations, substance abuse, childcare quality, and educational achievement for children. United Way of America is the national organization dedicated to leading the United Way movement. Local United Ways create long-lasting community change by addressing the underlying causes of the most significant local issues. Common focus areas include helping children and youth achieve their potential, promoting financial stability and independence, and improving people’s health. Our goal is to create long-lasting changes by addressing the underlying causes of problems. Warrior has brought together an impressive group of highly regarded product development and golf manufacturing professionals, many of whom have 20 or more years experience including seasoned master club builders. Warrior produces many more club sets in a given week than some of the most "famous brands" with one distinct difference – every one of their clubs is custom built to the exact specifications of each customer.